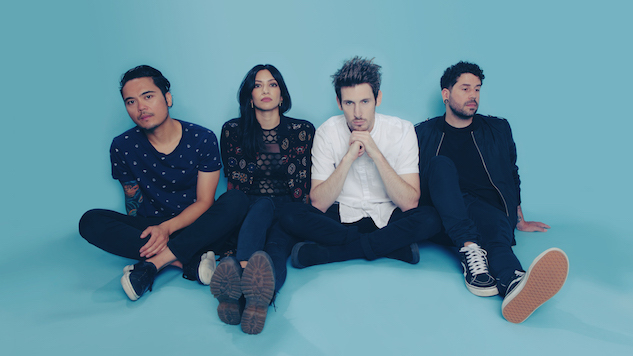 Parade of Lights have released “Tidal Waves,” the latest single off their sophomore album. The Los Angeles-based quartet comes into 2018 hotter than ever. “Tidal Waves” is the third single off their forthcoming untitled album, following the release of “Touch” and “Victorious” in 2017. The young band has quickly raised their profile since the release of their debut album Feeling Electric, whose title track was included in in EA Sport’s FIFA 16. Following the album’s debut, their 2014 EP Golden became naturally paired with award shows and competitions like the Oscars, Grammys and the NBC Winter Olympics, among others. But the band has seen more than commercial success; more importantly, they seem to be gathering a loyal fan base, continuing to sell out their headlining shows time and time again. After hearing their latest single, this comes as no surprise. “Tidal Waves” is bright and poppy. The synthesized keyboards slowly build up the verses into a chorus that is dynamic and catchy. It’s what happens when the melodic overtones of The Killers meet the rhythmic attitude of Kings of Leon. We can’t help but dance and sing along. Parade of Lights have recently shared the stage with notable acts such as Imagine Dragons, X Ambassadors, AWOLNATION, Fitz & The Tantrums and more. As the band’s momentum keeps building, it’s hard to imagine the parade will stop any time soon. Listen to Parade of Light’s new single “Tidal Waves” below, a song that’s sure to put a smile on your face. Beneath that, check out the single’s artwork.